Not that authenticity in the workplace is anything new: look at the sheer number of people writing about it. And, putting aside my postmodernist misgivings about whether or not authenticity exists, I’d like to talk about it. I feel like the concept of “authenticity” gets thrown around a lot, especially as it relates to the “authentic self,” but I’m not certain that organizations really know what they’re getting into when they start with the authenticity talk. In fact, I’m quite convinced that most organizations aren’t actually looking to embrace authentic selfhood — they just like deploying the feel-good buzzword. When we talk about authenticity, we’re talking about genuineness. The authentic self is the genuine self. In the workplace, the authentic self is, ostensibly, the employee who is true to herself. She works for a company whose mission she agrees with. Her role is actually tied to her passions. She loves what she does, because it’s what she wants to do. And that’s all fine and good, but there’s more to authenticity than these vague notions of “being yourself.” As soon as we move out of the abstract picture of the authentic self and into concrete examples of people behaving according to their sincerely held beliefs and desires, we arrive at a (perhaps unsurprising) conclusion: people are weird, man. 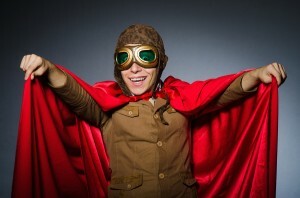 But, for all out talk of authenticity and flying freak flags, do we let weirdness cross over into the workplace? Hardly. Is this a problem? Maybe. Some things about our authentic selves are just too strange to share with one another. I’m okay with that. One of the good things about culture is it helps us figure out how we’re supposed to act around other people, so as not to make them uncomfortable. Sometimes, abridging your authenticity is warranted. No matter how much my authentic self might love her work, I’m not going to make my officemates listen to Pauline Oliveros. But, sometimes, organizations can benefit from letting a little bit of the weirdness in. Let’s talk about Nature Valley — the granola bar company. “Weird Twitter” is about as far from corporate branding as you can get. It’s essentially a catch-all term that refers to all the Twitter accounts dedicated to making strange jokes. These jokes tend to be nonsensical, slightly baffling, and offbeat. Tweets from Weird Twitter can seem like inside jokes with no insiders around to get them (which, somehow, makes them funnier. But I digress). In a way, Weird Twitter is like the public version of the strange things people do when alone: it puts the oddities of the authentic self on display without caring who sees it or “gets” it. Nature Valley, a company responsible for making granola bars, does not seem like the kind of company you’d expect to dive headfirst into Weird Twitter. In fact, you probably wouldn’t expect any company to thoroughly embrace outright weirdness, but especially not Nature Valley, with its wholesome, outdoorsy image. And yet — go ahead, take a look at Nature Valley’s Twitter account. For roughly the last week, Nature Valley has been going full-on Weird Twitter, posting references to obscure anime shows and retweeting fans’ photoshopped pictures of granola bars in scenes from said shows. The jokes are slightly odd. A lot of people won’t get the references — like, why is there a giant robot in between a picture of a moose and a picture of a mountain? Nature Valley did something that very few organizations do: they embraced the weirdness of authenticity. This is what it looks like when you really let your employees fly their freak flags. But Nature Valley didn’t make a mistake in going full-on weird. What it did was create a whole new fan base. Anime is a niche interest. By aligning itself with anime fans, Nature Valley said — “Hey, we’re people, too, and we like anime. We feel you.” Who cares if other people are scratching their heads. Anime fans are going nuts for Nature Valley now. Weirdness and authenticity go hand in hand. When you’re being true to only yourself, you’re going to expose all the ways you’re unlike other people. And that’s okay — because true authenticity can really build connections between people. Look at the connections Nature Valley built with anime fans after engaging in sincere conversations with them. I’m not saying every company should start posting anime pictures. But it’s undeniable that authenticity — real, honest, actual authenticity, with quirks intact — helps build strong connections between people and organizations. What do your employees’ freak flags look like? Which ones can you let fly a little higher, for the sake of your brand?